These pages show details of the 2006 Club project. This page shows the progress of my SW+80 kit as I built it. 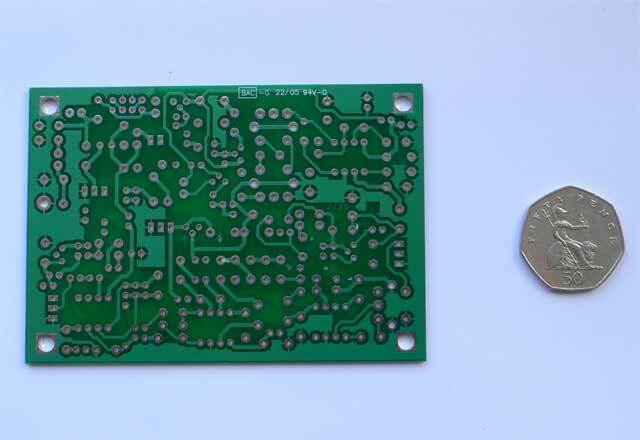 This is the PCB, you don't get the 50p with it! 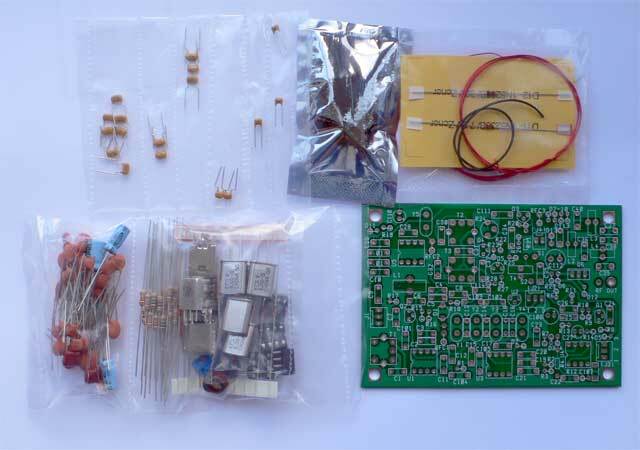 that's just for size Hi You can see its of highest quality , nicely silk screen which makes building a kit much better. 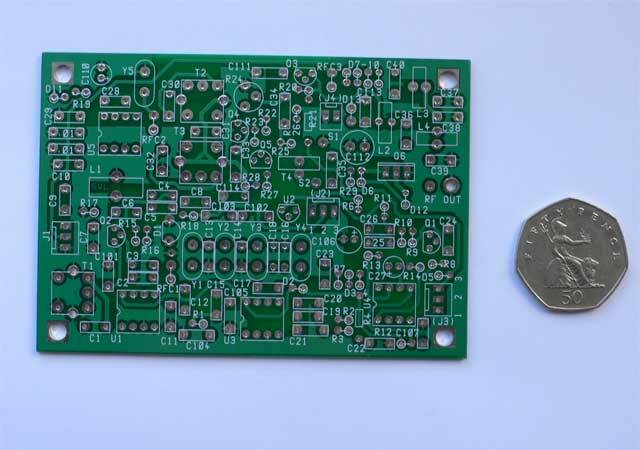 This is the solder side of the PCB, it is a true commercial quality board with through plated holes.